Over 1.1 million annual visitors take advantage of the park’s abundant recreational opportunities. 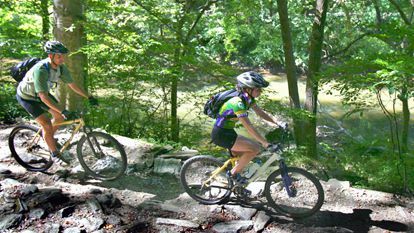 More than 50 miles of rugged trails offer hikers, mountain bikers, and equestrians the opportunity to explore the park’s dense forests, open meadows, and shaded creeks. Wissahickon Creek is stocked with trout every spring, luring fisherman to its banks, while birdwatchers migrate to the restored Andorra and Houston meadows to witness the arrival of dozens of bird species. The Wissahickon Valley Park has more than 50 miles of hiking trails. 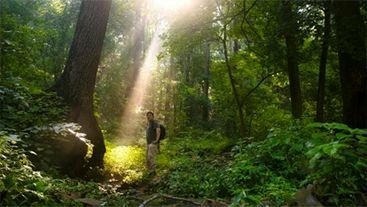 Hikers here walk in a forest so engulfing, they will find it hard to believe they are still within Philadelphia’s city limits. Forbidden Drive runs five miles along Wissahickon Creek. A wide, flat, gravel trail, it’s good for hikers of all ages and abilities. Runners, bikers, and equestrians all share this trail frequently, but also use the park’s upper trails. These trails can be rocky and are sometimes steep, but often follow the rolling terrain. Nearly two dozen historical and geological sites can be seen or accessed from Forbidden Drive and the upper trails. Forbidden Drive | 5.35 Miles | Average width 25 feet; Max obstacle height 3 inches | Average Grade: 3% Wide, flat, multi-use gravel path that parallels the Wissahickon Creek for the entire length of the park. Orange Trail | 5.64 Miles | Average width 3 feet; Max obstacle height 24 inches | Average Grade: 11% Single track, natural surface (dirt and rock) trail that runs along the east side of the park. Terrain is varied, and sections of the trail are rugged and may be difficult for inexperienced trail users. Restricted to Hikers Only from Hortter Street to the Thomas Mill Road Covered Bridge. White Trail | 4.39 Miles | Average width 3 feet; Max obstacle height 24 inches | Average Grade: 10% Single track, natural surface (dirt and rock) trail that runs along the east side of the park. Terrain is varied, with occasional steep, technical climbs. Sections of the trail are rugged and may be difficult for inexperienced trail users. Yellow Trail | 7.89 Miles | Average width 3 feet; Max obstacle height 24 inches | Average Grade: 9% Single track, natural surface (dirt and rock) trail that runs on the west side of the park. Terrain is varied, with occasional steep, technical climbs. FOW’s friendly and knowledgeable Trail Ambassadors lead hikes throughout the park. Check out our events calendar for a schedule. 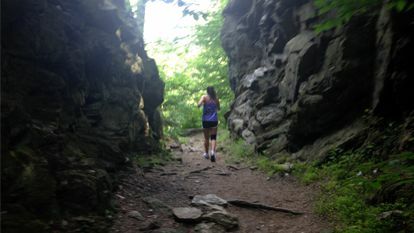 While runners can be spotted on Wissahickon Valley Park’s upper trails, most prefer Forbidden Drive, the wide, flat gravel trail that parallels the creek for five miles, between Northwestern Avenue and Lincoln Drive. Trail runners seeking the challenge of steeper grades and very rugged trail surfaces brave the upper trails. Runners should expect to share the trail with bicycles and horses on Forbidden Drive, as well as the Yellow and White Trails and the Orange Trail. Several local running clubs, including the Wissahickon Wanderers and the Shawmont Running Club, host running events in the Park. Many bikers use Forbidden Drive, a flat gravel path with easy grades that is suitable for most types of bicycles. Additionally the Yellow Trail, the White Trail, and almost all access trails from the outside of the park are open to cyclists. Expect to share trails with pedestrians and equestrians; please be respectful and yield accordingly. 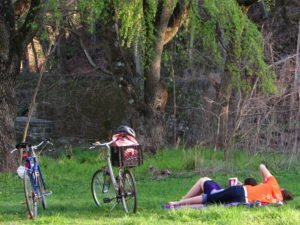 Philadelphia Parks & Recreation (PPR) requires that bikers using the upper trails secure a trail permit. To obtain a permit or read the specific rules and regulations for biking, go here. Whoa, Nellie! Did you know Forbidden Drive and most upper trails allow horseback riding? (See FOW’s trail map.) 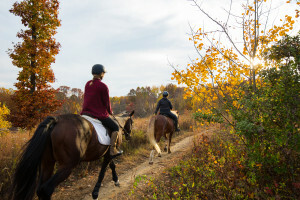 Philadelphia Parks & Recreation (PPR) requires that equestrians using the upper trails secure a trail permit. To obtain a permit, visit PPR’s website. Read trail-use regulations here. Courtesy Stable (Roxborough) offers lessons for all ages and levels. Monastery Stables (West Mount Airy) offers horsemanship programs for all ages and levels. Those who do not own a horse can ride by joining the Philadelphia Saddle Club, which boards its horses at this stable. Northwestern Equestrian Facility (Chestnut Hill) offers lessons for all ages and levels. 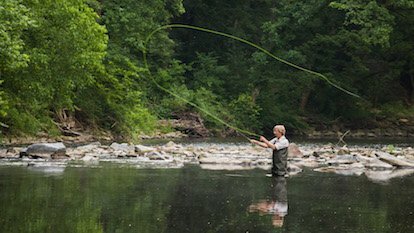 Stocked with trout each spring, the Wissahickon Creek is perfect for spin and fly fishing. The creek is an Approved Trout Water managed by the Pennsylvania Fish and Boat Commission, and is designated a Commonwealth Inland Water, offering an extended fishing season. The creek is also home to bass, sunfish and other warmwater species. Anglers 16 and older must secure a fishing license, including a Trout Stamp. Visit PA Fish and Boat Commission website for details on licensing, seasons, harvest regulations, stocking dates, and consumption guidelines. 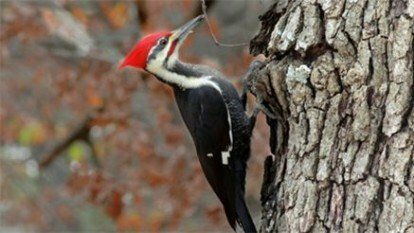 Wissahickon Valley Park provides a refuge and breeding ground for many species of birds. How many? Glad you asked. The mixed habitat of waterway, woodland, and meadow, as well as the richly landscaped private properties which surround the park, attract over 200 different species of birds over the course of a year. No wonder the Pennsylvania Audubon has designated it an Important Bird Area. The good news? We organize bird hikes in the spring. A schedule of these hikes can be found on the events calendar. We encourage everyone to enjoy a picnic in the Wissahickon! There are dozens of picnic areas and pavilions located throughout the park, along Forbidden Drive and the Wissahickon Creek. These are detailed on the FOW Map. If you would like to reserve a specific pavilion in the park, please contact the Philadelphia Parks & Recreation Special Events office at (215) 685-0060 with any questions and to secure your date. Any meeting or assembly with 75 people (or more) requires a permit. Open fires are not permitted in the Wissahickon, except in designated fireplaces. Please contact the FOW office at (215) 247-0417 for more information on fireplace locations. And please remember to leave no trace whenever you visit Wissahickon Valley Park-carry out what you carry in!